You can hire bikes in la Rochelle with Bike Hire Direct! BikeHire Direct Charente Maritime make it easy for you to rent bikes in la Rochelle - there is no need to have the extra hassle of transporting your own bikes... let us know where you are staying and we will deliver bikes directly to your holiday accommodation ready for you to enjoy on your holiday! For more information visit the 'Contact Us' page to find out about hiring bikes with BikeHire Direct Charente Maritime! 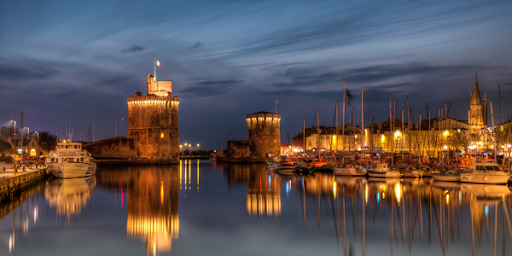 Cycling in the famous port city of La Rochelle puts you in the enviable position of being able to chose your route North, South, East or West. However, if you’re unable to decide, then just taking the time to cycle around the beautiful city itself is a wonderful experience. Discovering the hidden gems of a city like this is best done on bike. Cafes, bars and restaurants are in abundance and ready to welcome you to sample the local dishes. Great shops, galleries and museums and, of course, the Aquarium. Travelling here is made easy with a well-positioned airport and train station and a good network of roads. North to South: Navigating the Atlantic coast is made easy for cyclists by using the wonderful and well sign posted Veloroute. Flat, well paved paths give you the unmissable opportunity to explore all that this coastline has to offer. To the West: Destination Ile de Re! An island that seems almost purpose built for cyclists! With direct access from La Rochelle over the bridge. 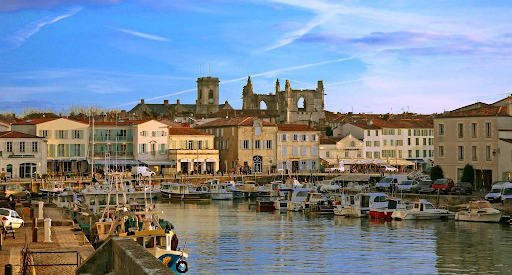 To the East: Basically, the whole of the Charente Maritime is open to you! Great towns like St Jean D’Angely, Rochefort and Saintes are full of history and are waiting to be explored. More bike routes, like La Flow Velo, take you through forests, sunflower fields and vineyards and make this whole department of France accessible.